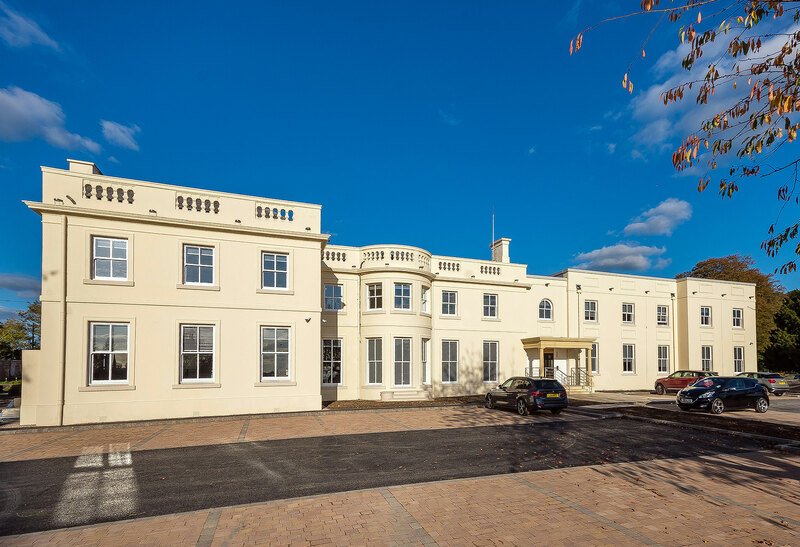 Ednaston Park is a magnificent 19th century mansion situated in the beautiful Derbyshire countryside which, until recently, was being used as a nursing home. 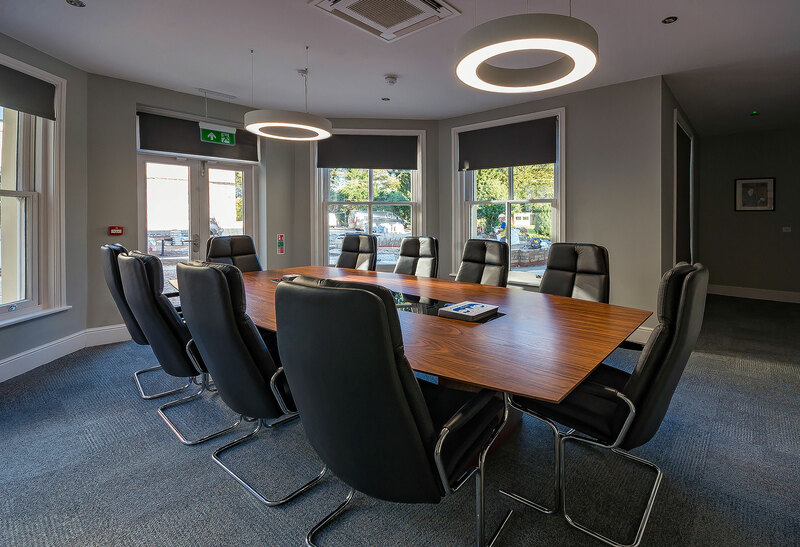 The building was purchased by developer The CWC Group and has now been transformed into their office headquarters along with additional prestigious office suites. 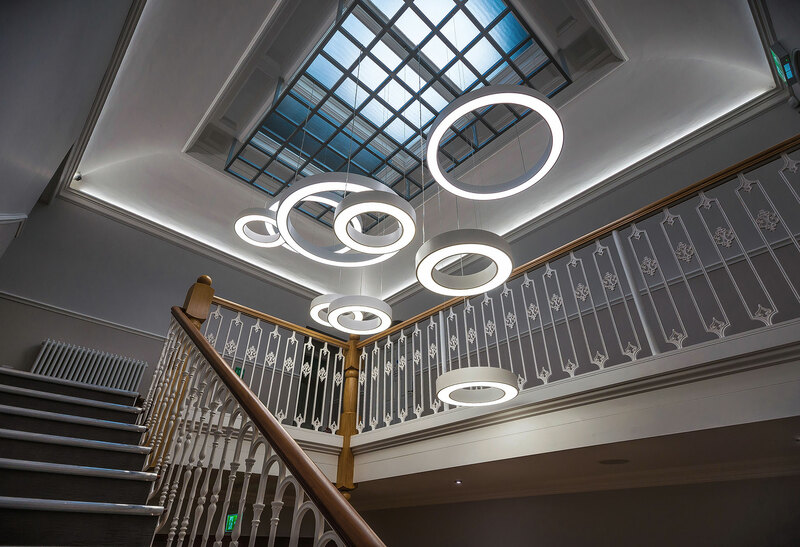 The building’s original features have been retained wherever possible and combined with contemporary elements to create stunning interior spaces. 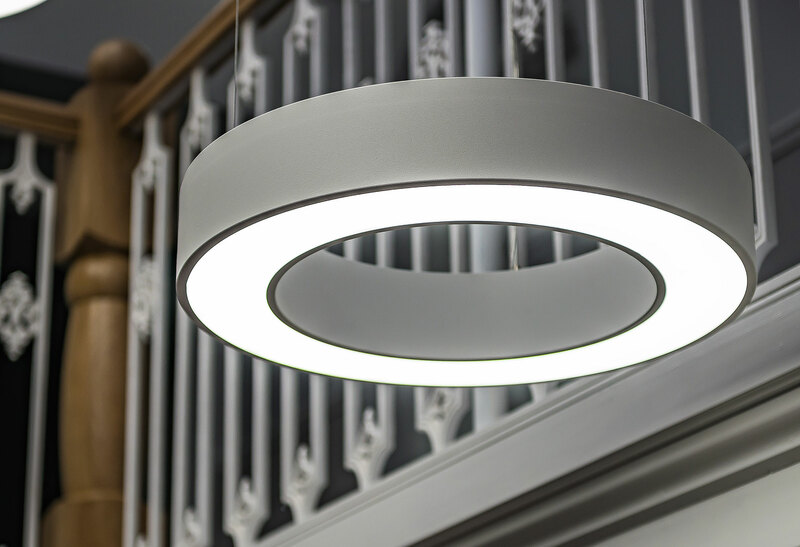 The centre-piece of the development is the elegant staircase, which was crying out for a bold contemporary statement luminaire to complement the restored period features. 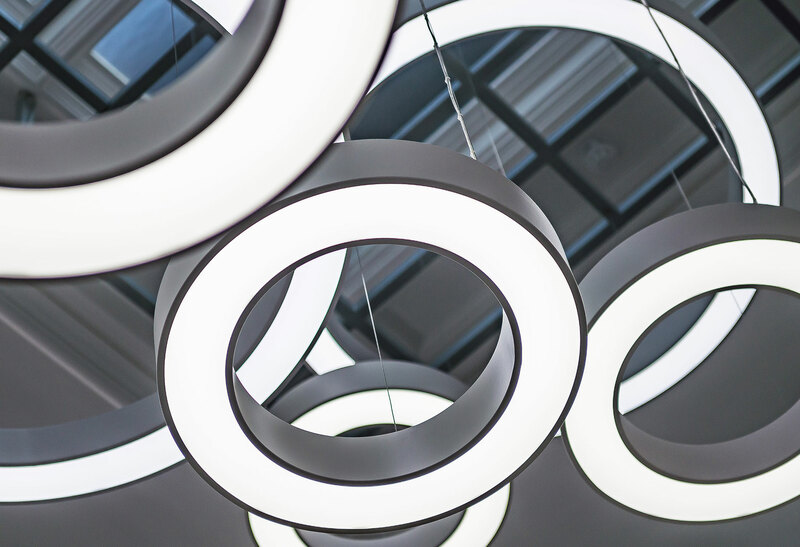 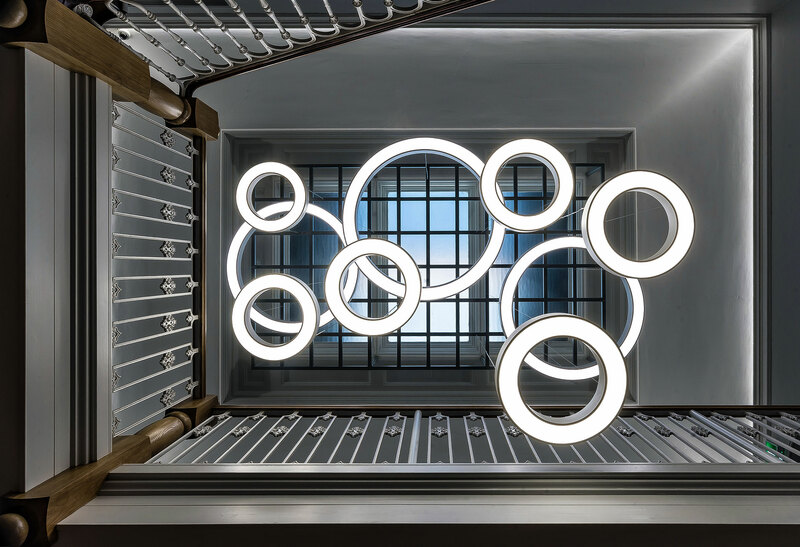 Gamma’s lighting design team, working closely with client, their design team and the electrical contractors, to create a sculptural arrangement of three Echo 1200 and six Echo 600 architectural pendants for the centre of the stairwell. 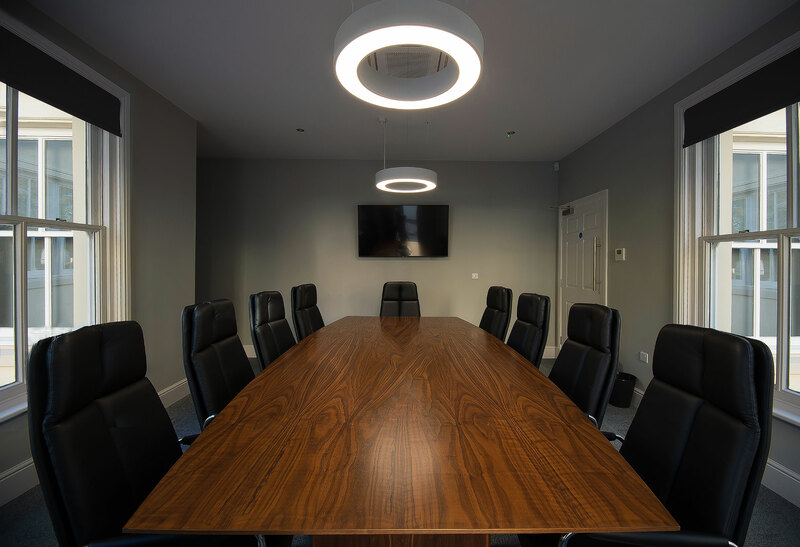 The resulting luminaire provides the perfect eye-catching focal point for the development and the style is carried through to other areas of the building with additional Echo feature pendants being installed in the board room and other meeting rooms.